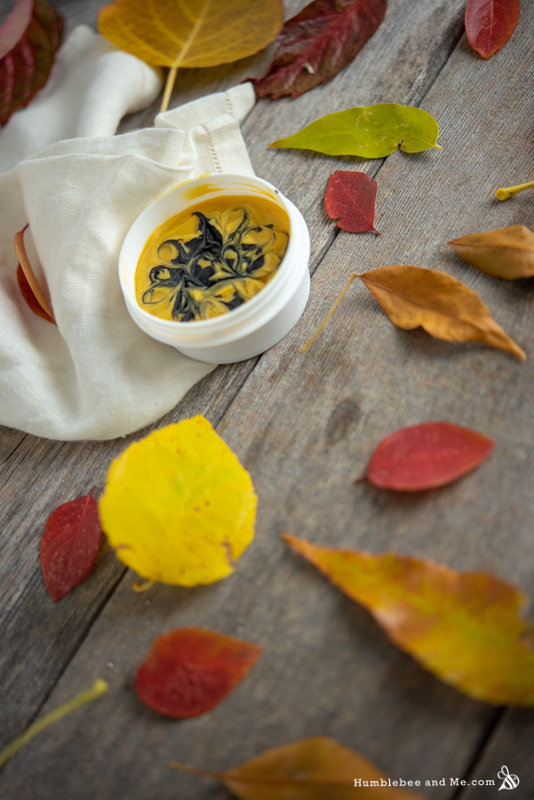 This striking Sea Buckthorn and Charcoal Cleansing Balm stars two potent ingredients to create a perfect-for-Halloween cleansing balm. The inspiration for this came from wanting to create something for Halloween—in past years I’ve done lots of pumpkin spice things around this time of year, but this year I wanted to do some Halloween projects! Orange and black came to mind immediately, which quickly led to sea buckthorn (orange!) and activated charcoal (black!). Activated charcoal is a very trendy ingredient for facial washes, which is sort of ironic given the state it’ll leave your sink in after you use anything containing a meaningful amount of it. It’ll look like you just washed up after a gardening marathon every dang time you use that product, so I’ve found past activated charcoal products I’ve made have… languished. Frankly, I got tired of cleaning my sink so often/having my sink look gross because I couldn’t be arsed to clean it. So, in this project, there’s very little activated charcoal. Now, something I’ve been wondering about activated charcoal lately is… does it actually do anything for our skin? The only articles I could find relating to activated charcoal and skin on PubMed were regarding wounds in rats and “reduc[ing] odor associated with extensive blistering disorders.” LabMuffin has written a great article on how it could work, with the conclusion “There’s no evidence activated charcoal works, but it could theoretically work” and that it isn’t harmful. We know it’ll offer some physical exfoliation, much like a clay would, and it also looks cool. 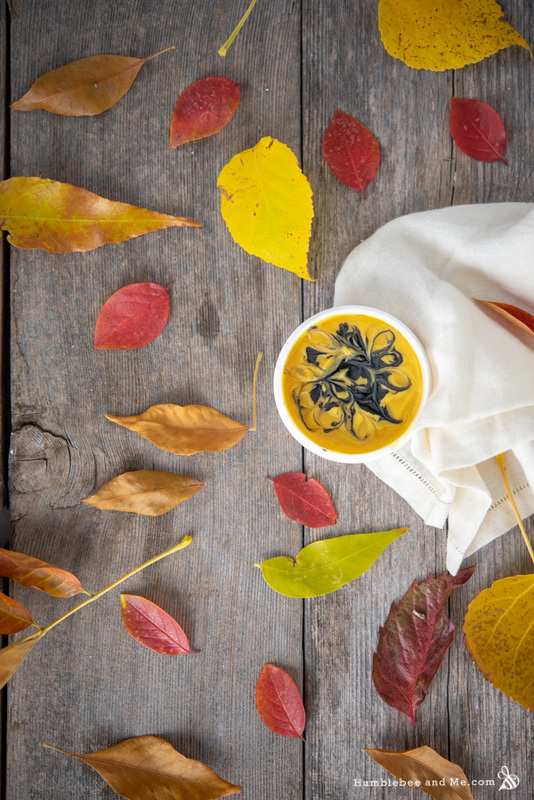 A tiny 1% sea buckthorn fruit oil contributes the orange factor to the cleansing balm. 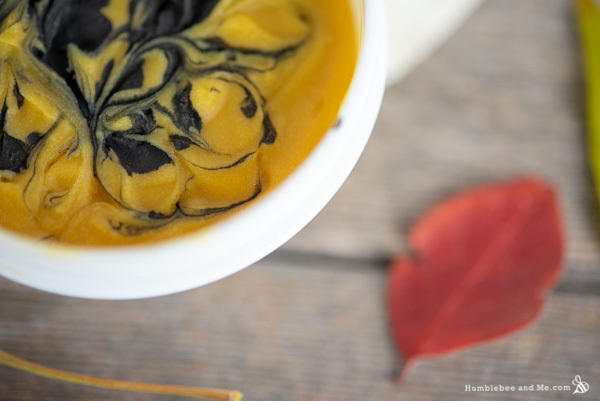 Sea buckthorn fruit oil is rich in carotenoids (that’s why it is so orange! ), but at 1% in a wash-off product we won’t be reaping the benefits of sea buckthorn fruit oil too much. The bulk of this cleansing balm is inexpensive liquid oils (safflower & castor), thickened with a blend of cetyl alcohol and stearic acid for a rich, creamy, not-at-all waxy consistency. The beautiful wash-off this cleansing balm has comes from a combination of Polawax and polysorbate 80. 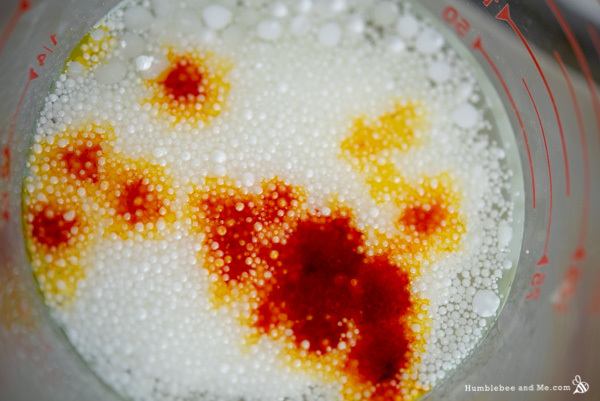 You’ll likely recognize them as a complete emulsifying wax and solubilizer, respectively, and might be wondering why either are present in a product that doesn’t contain any water. It’s because this product will encounter water when we use it—that water you’ll be using to wash your face with! The oil soluble parts of this cleansing balm will pick up the oil soluble gunk on your face, and the water loving parts of the emulsifiers will grab onto the water you’re washing with, giving you an easy, clean wash-off. 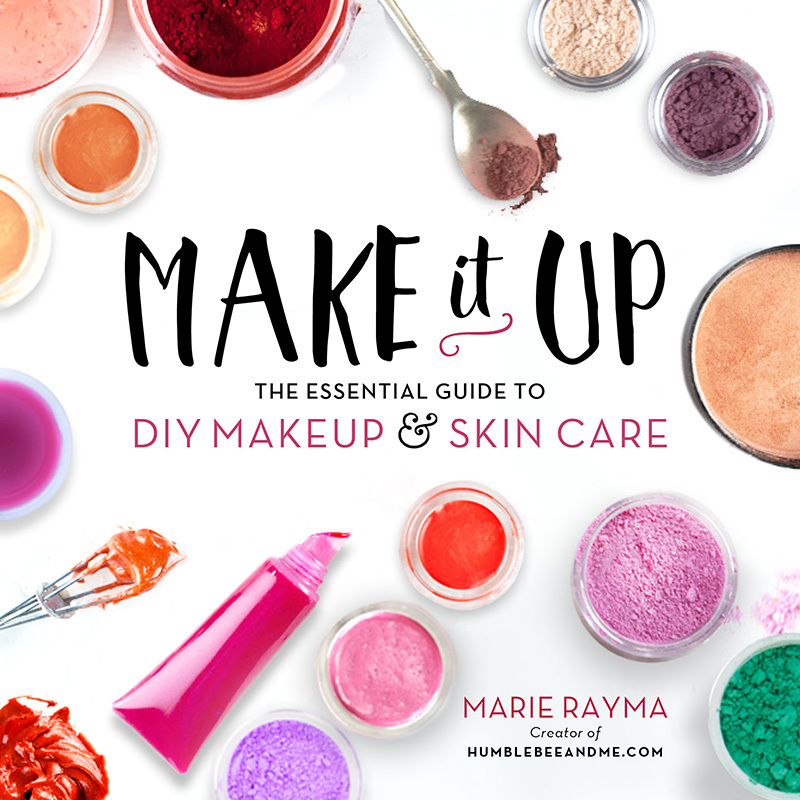 I’ve made emulsifier free cleansing balms in the past, but in my opinion they can’t hold a candle to cleansing balms made with emulsifiers because they just don’t wash off very well. 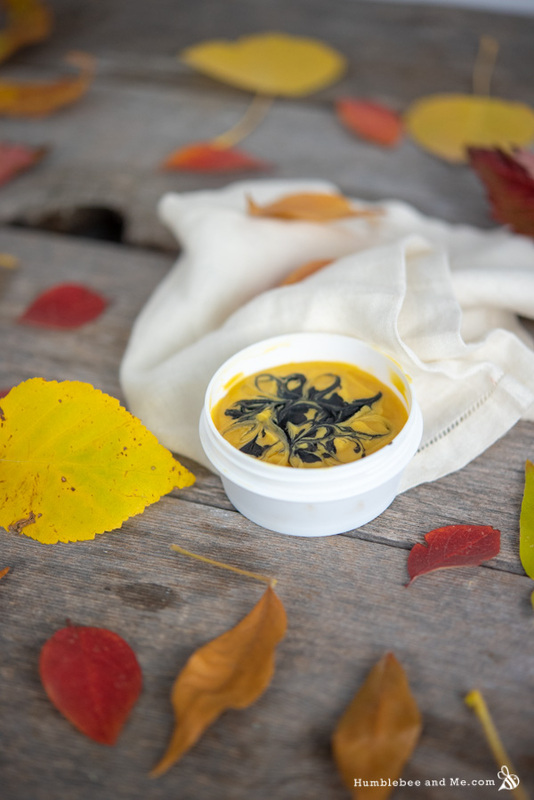 I’ve scented this balm with cocoa absolute for a Halloween-appropriate chocolate scent. Cocoa absolute is brown, so this does muddy the orange a bit—if you want to keep the orange as vibrant as possible orange essential oil would be a good choice! You could also use a fragrance oil; something fall-ish (apple cider, perhaps?) sounds divine! Whisk the activated charcoal together with a wee bit of the castor oil to create a drop-able liquid. 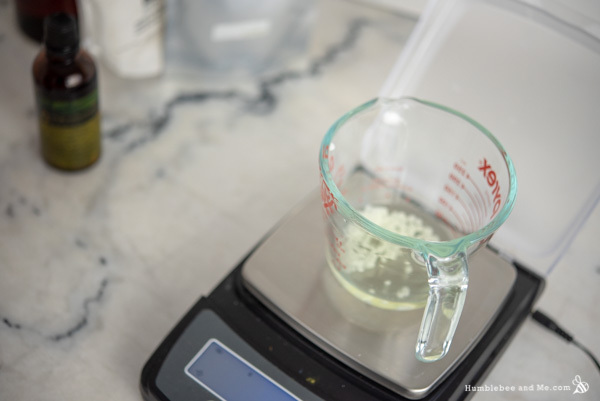 Weigh the heated phase ingredients into a small heat-resistant glass measuring cup. Place the measuring cup in your prepared water bath to melt everything through. While the heated phase melts, prepare an ice bath. 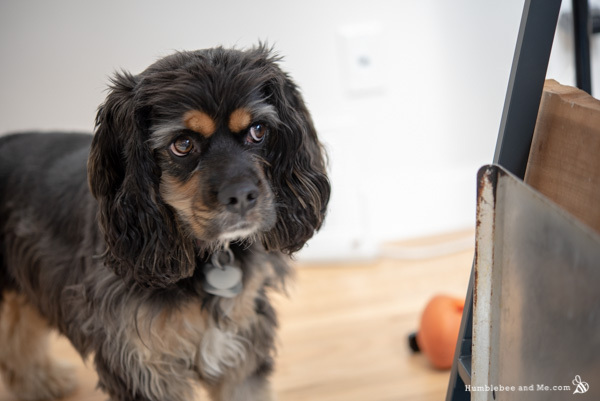 Take a bowl that is large enough to accommodate the container the heated phase is melting in, and fill it about halfway with ice cubes and cold water. After about 20–30 minutes everything should be completely melted through. 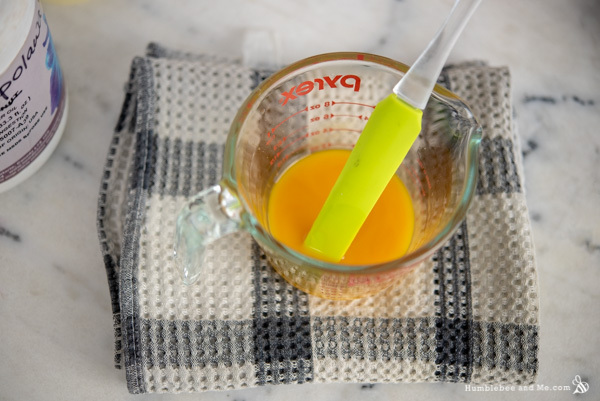 Remove the water bath from the heat, remove the measuring cup from the water bath, and dry it off with a dish towel. Stir with a flexible silicone spatula to incorporate. 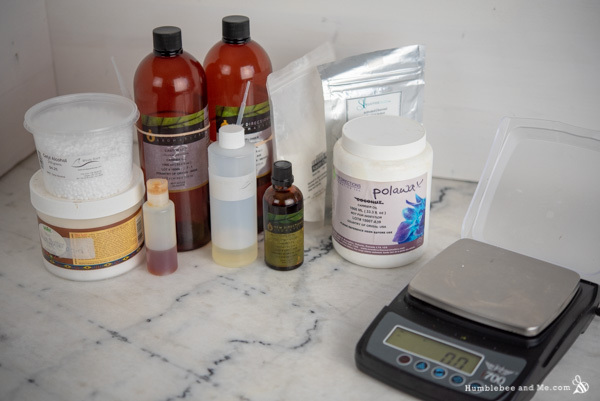 Place the container holding the melted balm in the ice bath and stir frequently until it gains a bit of viscosity. Remove it from the ice bath and weigh in the vitamin E and cocoa absolute, stirring to combine. Put the cleansing balm back into the ice bath, stirring until it is about as thick as a thin pudding (I’d probably call this a medium trace in soap making). Transfer it to your jar and tap to settle it down. Scatter a few drops of the activated charcoal/castor oil liquid across the surface of the orange balm, and then swirl with a toothpick. Less is more, both in terms of the amount of activated charcoal (don’t feel like you have to use it all) and the amount of swirling. Leave the balm to set up. Once the balm has set and the swirls don’t look wet anymore you’re all done! Because this cleansing balm does not contain any water, it does not require a broad-spectrum preservative (broad spectrum preservatives ward off microbial growth, and microbes require water to live—no water, no microbes!). Be sure to keep it dry to ensure it lasts as long as possible—don’t let any water get into the container and it should easily last a year (use a dry finger or popsicle stick to dip into the container). If you plan on giving this cleansing balm away or taking it into the shower/bath with you, please include 0.5% liquid germall plus (USA / Canada). Though this preservative is water soluble, this cleansing balm contains emulsifiers so it will emulsify, and because it is water soluble it’ll be in the right phase if the balm gets contaminated with water. As I’ve provided this recipe in percentages as well as grams you can easily calculate it to any size using a simple spreadsheet as I’ve explained in this post. As written in grams this recipe will make 50g. Emulsifying Wax NF will work in place of Polawax. Emusilmulse/Ritamulse and Olivem1000 should also work; I’d avoid BTMS-50 simply because it is more expensive than the other options. You could use a different smooth clay in place of kaolin, but keep in mind that anything with a colour (like French green clay) will impact the orange colour of the base. I’d probably just replace the clay with more liquid oil if you don’t have a white one. 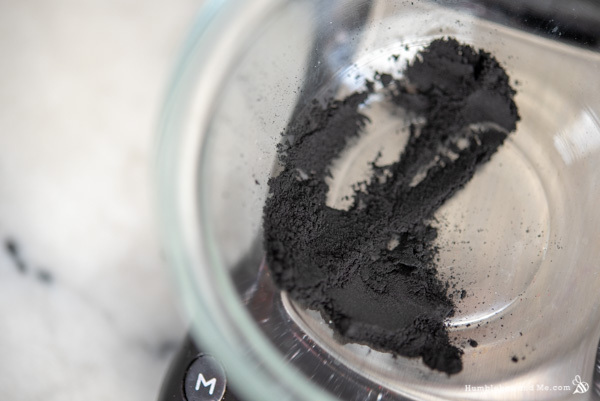 If you don’t have activated charcoal you can use black mica instead. You could also try Australian black clay or iron oxide, but tread very lightly with those ingredients as they are very black! You can use a different scent instead of cocoa absolute if you prefer. I love me a good cleansing balm and this one looks decadent! And cocoa absolute? Sign me up! Is the inclusion of kaolin clay more for texture and consistency or does it add to the cleansing power? lottie is precious, and this cleansing balm looks divine! Thanks, Pauline! I find a lot of inspiration with the seasons, new ingredients, and learning new things about ingredients I already love 🙂 It’s pretty nuts in my head, but generally a good time LOL. all your recipes are extremely inspiring, have been a huge fan of your work. Have dry skin so wanted to try making cleansing balm, was browsing through all your recipes, I have access to only olivem 1000,generally research if it will work and noticed you have suggested it as alternative in this article, i am sure have bumped against articles online about how olivem 1000 is not self emulsifying and it will not work for balm to milk cleanser, wanted to know what is your take on the same. If you take a looksee at HumbleBee&Me encylopedia entry on Olivem 1000, you’ll see that Olivem 1000 will self-emulsify when it comes into contact with water. When I’ve made Cleansing Balms with Olivem 1000 and I only notice the price difference in the performance! I’m personally not a fan of cleansing milks so can’t speak to how Olivem 1000 would work in them, but it’ll definitely work in a balm-to-milk cleanser. Do you have to use both types of emulsifiers (a wax and a liquid)? Could one just use the was emulsifier? This would be a good guide to look at. The Polysorbate 80 not only helps with the final finish on your skin, but it also is a liquid which helps with the overall scoopablility of the product. If you omit the Polysorbate 80, you might find that the final product is not quite what you are expecting unless you compensate for it! Can I use _______ wax instead of the wax called for in the recipe?